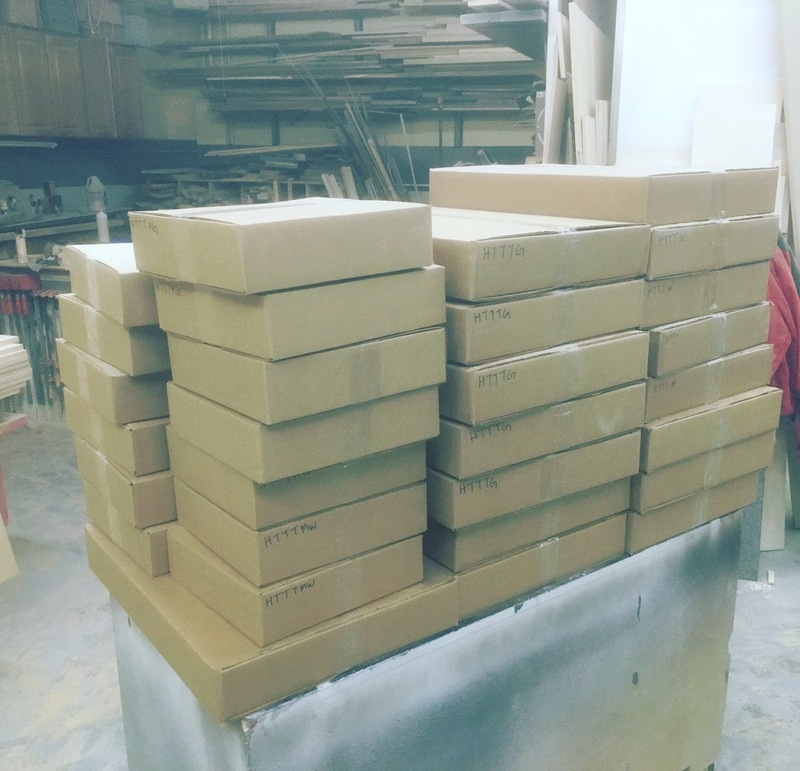 Anyone feeling the slowness of after the holiday rush? Some ways to combat this are posting on social media. 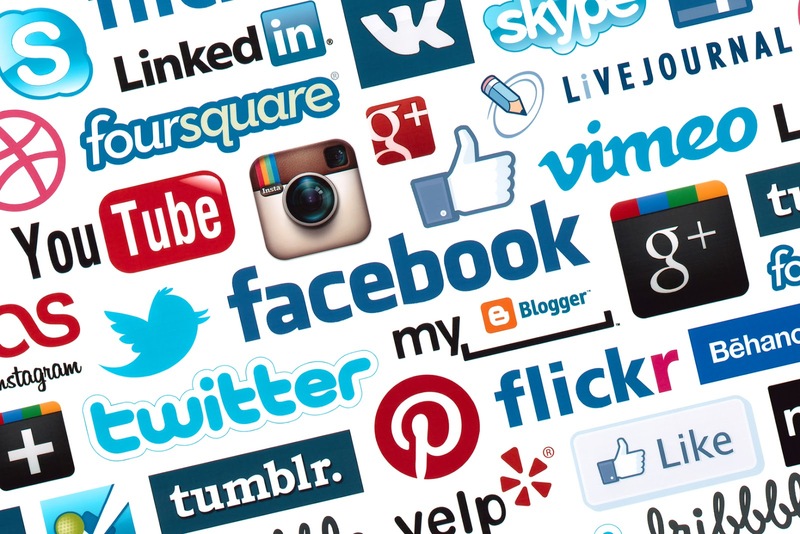 Use all your platforms and make the people aware of what you are selling. During the holidays the customer comes to you. After the holidays you have to go get the sales. This is a great time to get really creative with you new products and marketing tactics. Here are a few things I like to do to get a jolt in sales. Pinterest: make sure to post to as many different boards that I am in as possible. Instagram: Make new posts or items with professionally shot photography. If you don't have new items just shoot videos of your daily workload. Videos are very powerful and get a ton of view. Never underestimate the power of top of mind awareness! Wholesale! Try to get as many wholesale accounts as possible. This eliminates a lot of the legwork of selling after you find accounts. Also you can run promotions to link people back to your Amazon Handmade account. One day: Okay we are unstoppable. We are on fire. Literally everything we make sells and we are going to make a fortune. We have a successful business by all standards. Boom! Whoa! what a ride the last couple of month have been. We started off this holiday season signing up for Amazon Handmade and not knowing what to expect. We pressed forward blindly. Little did we know that it meant hours of order fulfillment and going from the two of us to having to hire two employees. At our peak we were moving 20+ sales a day. The shipping...oh the shipping. Imagine having no process in place and having to scramble to send out countless items daily. We learned a few quick lessons. One major one was that Amazon will flag you if you do not mark all items as shipped on time. We get one of their emails threatening our account was in danger of being suspended because of it. It required an apology email and point by point reply of how we would rectify the problem going forward. Despite the few hiccups we faced we made it out of the holidays with over 500 sales and a good boost in our ranking. Now the next phase begins. Survival in the off season. I look forward to letting you all know how it goes. Here are a few photos from the holidays. 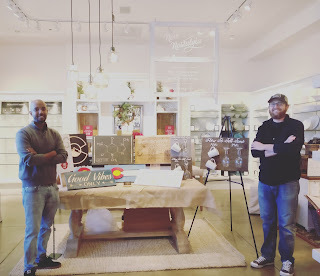 Denver Sign Design is on handmade by Amazon and it has been a learning experience. Making handmade products on Amazon does not seem to get as much exposure as on Etsy. This poses to be a good and bad thing at the same time. The good part is there is less competition so it is possible to take advantage of the gap in the market. On the other hand since there's not as many people searching for handmade products on Amazon its harder to come by on sales. 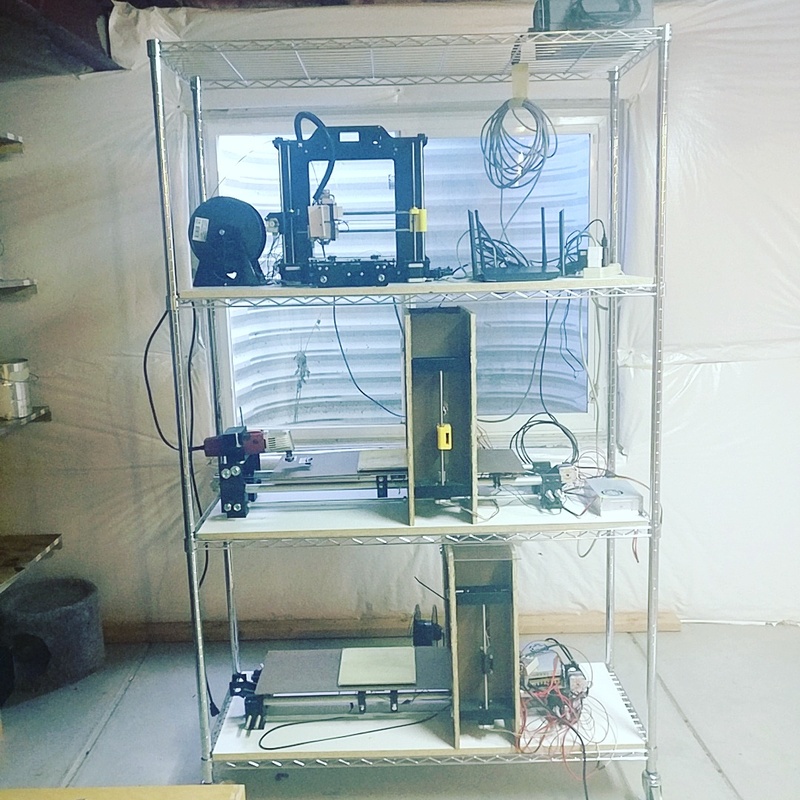 We have been making tweaks and are now incorporating a new product line of signs that can be replicated quickly for the sake of Amazon. Keep an eye out as these signs will be made from a different process but carry a smaller price tag if $25 just in time for the holidays. So we had the lesson of the failed customizer under our belt and we ventured on. We always seem to stumble forward. While doing so we came across a sign request from a customer that was different from the others. 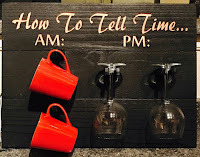 They wanted the a quirky sign that said "how to Tell Time" and listed AM and Pm with a coffee mug and wine glass respectively below the writing. CNC machine we decided to utilize it. Marvel below. So we combined the two together and the outcome was a sign that was a huge hit for us. 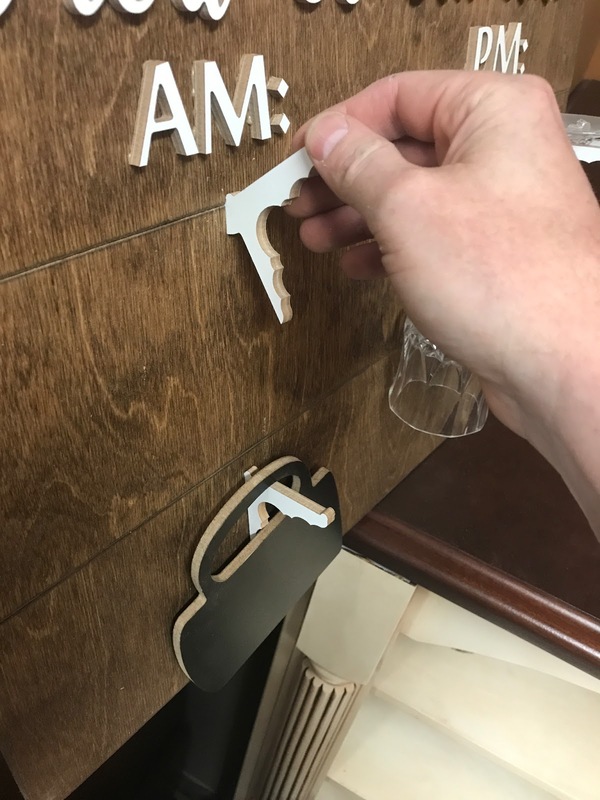 How to tell time with 3d printed handles seemed to do really well on Etsy and our mall retail location. Mothers day was our biggest selling month of this item and we were on a roll. Our feature product has been this sign and continues to be to this day. So we officially launched in January of 2017. Since then we have come a long way and faced many challenges along the way. 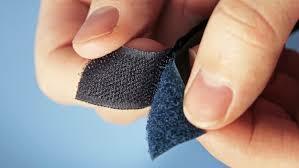 Never did we realize all the pivots we would make ad how our business model would change. Back in February we had a revolutionary idea to allow our customers to create their own wood carved signs online. 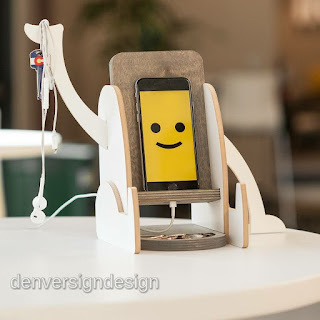 We had an online customizer that put the customer in full control of what they could create. This meant they could start with a blank canvas and create to their hearts desire. After a few months and thousands of dollars in research and development and service fees we realized we had a flop on our hands. We decided to scrap the customizer because we learned a valuable lesson. often times people don't want to create something from scratch. They want to e given some inspiration and make small tweaks but it become overwhelming when every option is available. We often heard "let me try to decide what I want and I will use your customizer". It's like that tattoo that you always wanted to get but you don't now quite what it is until you see someone else's or a photo online. So we had a dud on our hands and although it was a tough decision we had to scrap it and change directions. This part is always extremely tough in entrepreneurship. When do you say when? Through building Denver Sign Design we have had many of these moments and only through repeat failures (we call them learning experience) we have found that change is a constant. Don't dwell. Recognize it adjust and move forward. That seems to be our outlook and has been working so far. So after we scrapped the customizer. In retrospect it may have had some limitations as well. take a look and let us know what you think. 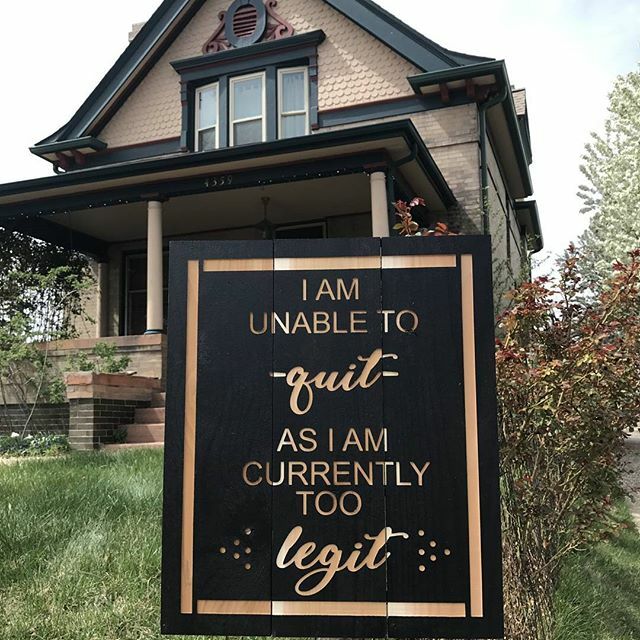 Our most popular sign. 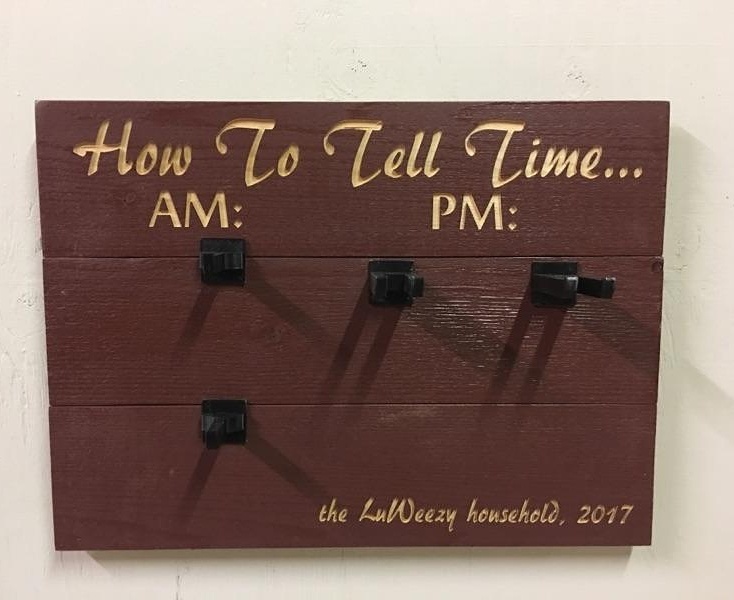 Basically you no longer need a clock or watch anymore. 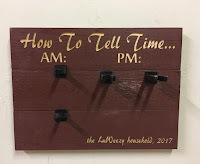 The how to tell time sign breaks things down into a very simple and easy to understand AM and PM functionality. For the AM you will you use the coffee mug to energize you throughout the day and keep you jacked up on caffeine. 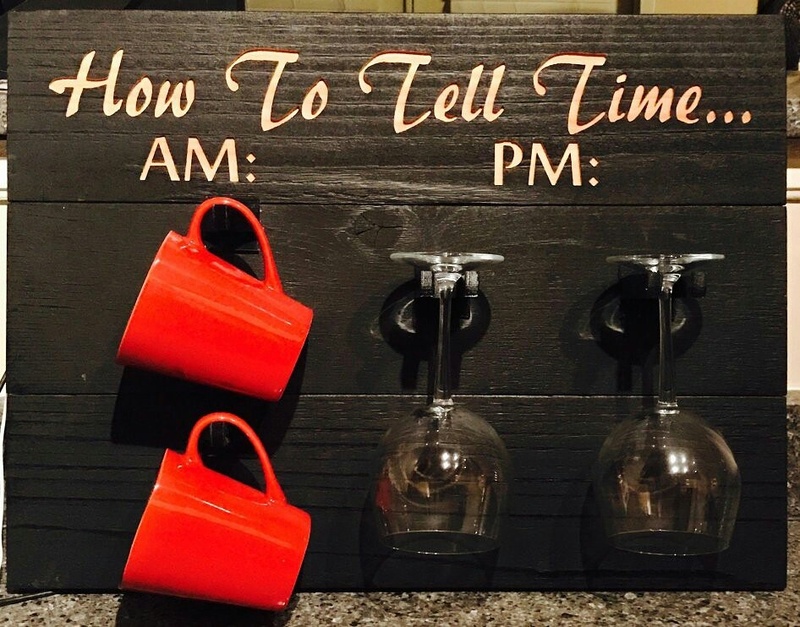 At night is when the real fun begins and within arms reach the wine glasses are ready. These are just suggestions feel free to reverse the AM and PM if you feel like drinking during the day or vice versa. -Sincerely your friends at DSD. 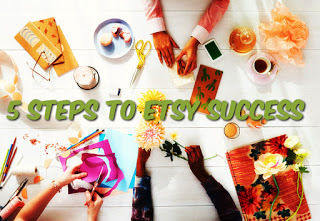 While we are far from experts we have had some success with Etsy that we would like to pass along. We learned most of these tips and tricks by making mistakes, and a lot of them. So let our mistakes be your lessons. Did I mention Photos? When we first started Denver Sign Design we definitely learned this lesson the hard way. We took some poor photos with not the greatest lighting our first go around an the results reflected it. We seeked out suggestions and kept hearing the same thing. We had to improve our photos. We went back to the drawing board and sure enough sales started to slowly trickle in. You can see some of our before and afters here. Notice the difference that photos and staging make? Well we definitely started to see our sales increase once we found out that Photos were a major driving factor in our Etsy Shop. Etsy uses a similar Seo to google to find you on the internet. This means Keywords are huge! Make sure you are using the keywords that best describe your products and that your customers are most likely to use when searching. Having an understanding of your customer’s keyword for your own business is beyond powerful and can help potential clients and fans find you. Marmalead is a great tool to find keywords for Etsy shops. With it you can type in a tag (or keyword) and see total results or competing products and shops, total views, average views per week, average favorites per week, and much more. It also breaks your listing down to grades from A+ to F and tells you why to male adjusting and maximizing your listing easy . Service is king with Etsy and as handmade sellers we must go the extra mile for our customers. They keep us in business and they tell others about what we have to offer. Someone buying from Etsy is making a conscientious buying decision. They are buying from you, supporting your business and and the local handmade community. This means that we have to uphold superior service at all times. When a mistake is made do everything possible to rectify it and even more to let the customer know that you value their business. No one wants a bad review or a low star rating and these can be avoided typically with great products and great service. Whether you are jumping into this full time or for money on the side there will be ups and downs in business whether seasonal or just the online climate. Remember to have a positive outlook and make it fun. After all, you are creating what you love. Don't forget that in the hard times and you will thrive! Happy Selling!